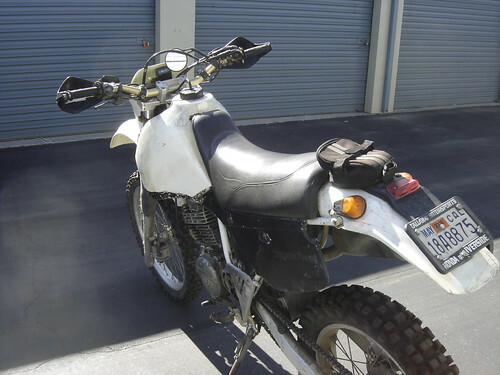 I used to have a set of the Dirtbagz racks on put on my previous XR600R, a 1996 model. I used the racks, but modified an existing set of bags to fit them. The install went seamlessly and was done in about 15 minutes. Hundreds of Motorcycle Service Manuals – For Free! 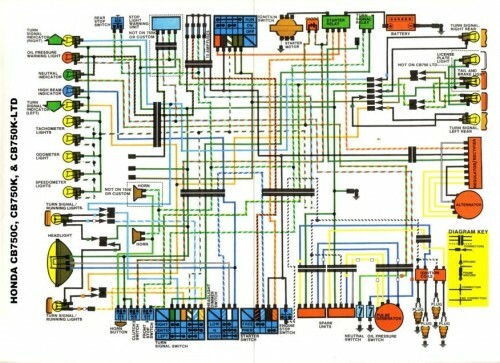 I get emails from readers quite regularly looking for service manuals for their bike. I always try and help as best as I can. Over the years I’ve amassed quite a large collection of motorcycle service manuals for all sorts of bikes. I have factory repair manuals, part microfiche manuals, setup and tuning documentation, owners manuals, etc, etc. The last couple days I’ve posted about 280 documents to this site which will hopefully help out a lot of home bike mechanics with a new project. I have some more, but that is most of it. There are many sites out there selling these same documents and taking advantage of those willing to shell out some cash. The large bulk of these manuals are factory provided to dealers or come with the bikes as service supplements. The sites selling these same manuals have no authority to do so. Just grab them here. You can browse them by clicking on the brand you are looking for in the Categories menu on the right. Or you can search by using the search box. Keep in mind I don’t have every bike model. If you have any manuals in digital format you would like to contribute I’d be happy to post them and give you a big thanks! If you have any questions about the files themselves just leave a comment or post a question over in the forum. 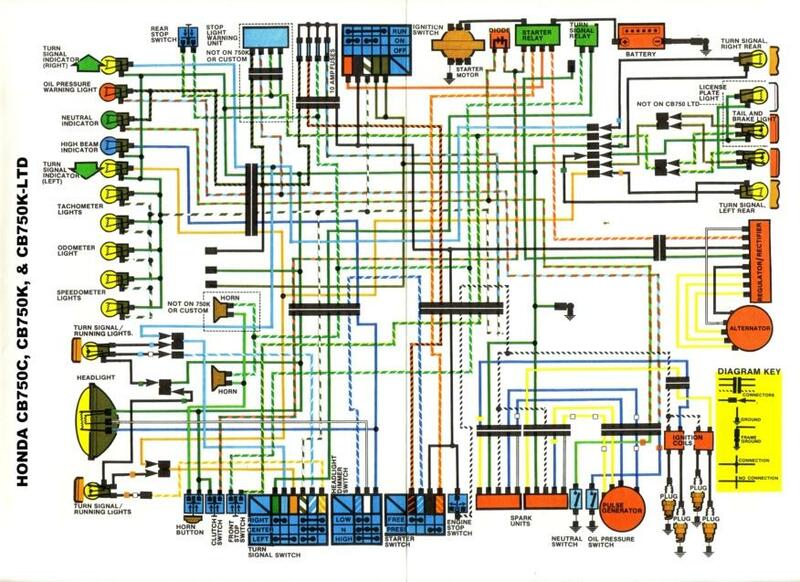 Soon to come – My collection of wiring diagrams! * It is not my intention to infringe upon any copyright laws. If these factory offered service manuals are determined to be questionable I may need to remove them. I get a lot of questions via email from visitors of this forum. I’m always happy to help with motorcycle service questions and like giving others a hand. However, the emails are sometimes overwhelming or they get lost in the daily shuffle of life. So I’ve decided to try getting a little motorcycle repair forum started. This way people can post their questions on the forum and I can answer them directly there. MOTORCYCLE REPAIR and SERVICE FORUM!!!! Let me know what you think, I’d love to hear from you all. The Cropredy bike above is once of the nicest looking Laverda’s around. The body work reminds me a lot of the Tracy body kits which were available for the Honda CB750’s in the mid 70’s. I LOVE the Tracy body kits, and CB’s are right up my alley. 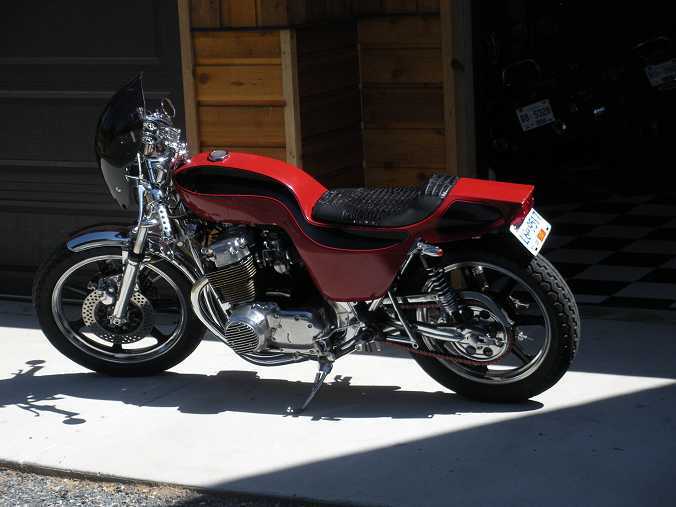 I had an opportunity to buy a CB750 with the Tracy kit not too long ago but couldn’t swing the extra dough. Bummer! 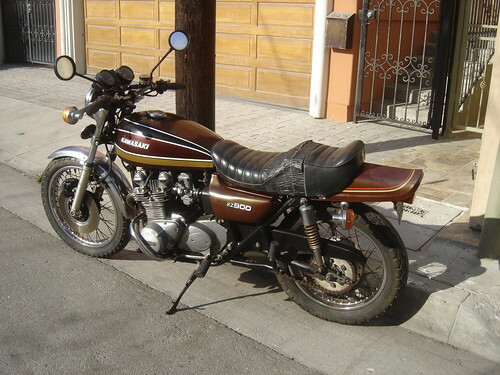 1976 Kawasaki KZ900, originally uploaded by evanfell. The original muscle bike – sort of. This is my KZ900A that I owned for a short while. 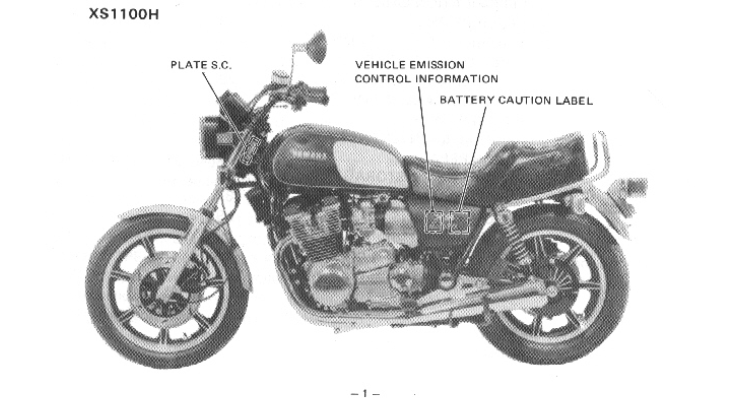 Kawasaki came out with the 900cc KZ900 in 1973 known as the Z1. 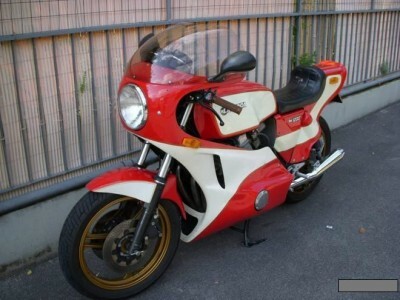 Today the Z1 is a highly coveted bike and fetches great prices on the vintage market compared to all (most) other Japanese bikes of the period. In 1976 the Z1 became the KZ900A and is slightly less desirable, but they are going up. This particular bike had a great condition tank and side covers. The seat, and shocks were in poor condition, but replacements were purchased from Korean re-manufacturers. The Korean reproductions are not nearly as highly regarded as the NOS or original Japanese parts, but they can be purchased cheaply and only people who know what they’re talking about will be any the wiser. The differences are very small. While parked on the street I had it locked to the telephone pole. I went out one morning to find the lock cut halfway through. The crooks must have gotten spooked while cutting through it and didn’t finish the job. Thankfully! 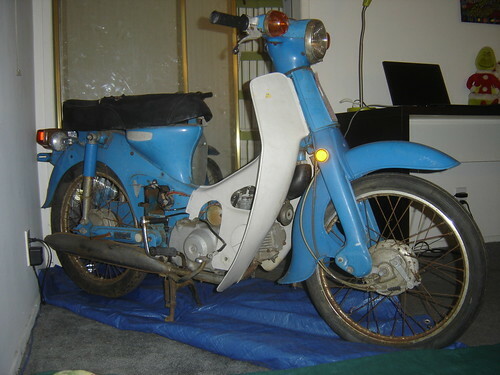 1972 Honda C70 Super Cub, originally uploaded by evanfell. I picked up this 1972 Honda Super Cub 70cc bike/scooter/moped/whatever-you-want-to-call-it. These little bikes have been in production for over 50 years. This particular scoot popped up locally for a mere $100 so I drove out and picked it up. This bike has sat for at least 15 years along side the owners home. The last registered user of this bike was an older gentleman who passed away in the early 90’s. His widow gave the bike to their neighbor who kept it outside all those years. I bought it from the neighbor and brought it home to fix up. These little bikes are extremely reliable and will run forever, even when neglected. The trouble with this one is more aesthetic than anything else. The desert sun has faded all the paint badly and made the plastics very brittle. Most of the chrome should clean right up. Fortunately EVERY part for these bikes is very easy to find and relatively inexpensive. The Honda Cubs have many part importers around the United States, so anything you need is never more than a call away. Just be aware, there are genuine Japanese reproduction parts, and there are Korean reproduction parts from a variety of manufacturers. The Korean parts are often lower grade and not great fit and finish. If you browse eBay you can see hundreds of Korean parts for sale at any given time ready to be shipped from Korea, or from an importer in the USA for much more money. The original Honda Cub hit the dealers in 1958 in a 50cc variety. The 50cc model is still available today. However, over the years they have produced many slight variations of the model – 70cc’s, 100cc’s, and Honda Passports. For cheap transportation these Honda C70’s can’t be beat. 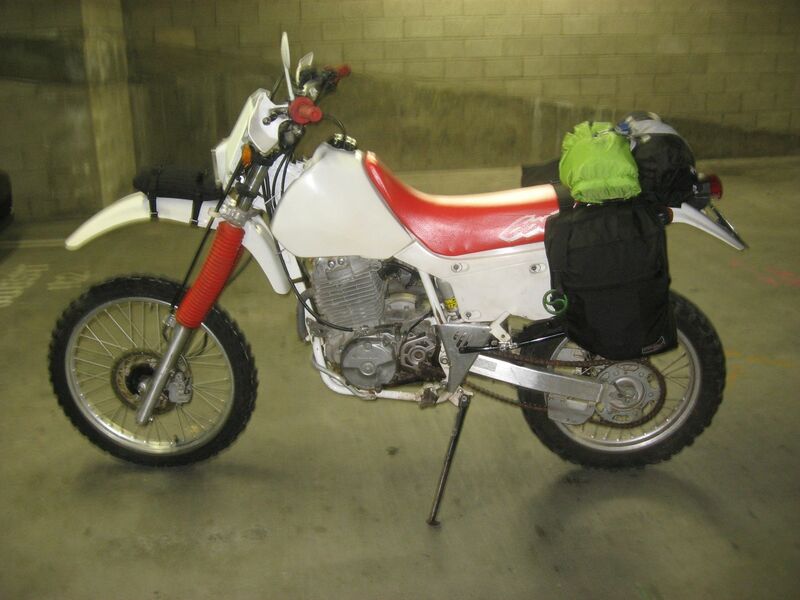 1996 Honda XR600R Seat and Rear Fender, originally uploaded by evanfell. I am a big fan of the Honda XR600 series of motorcycles. You might remember the 1983 Honda XL600 I was working on just last summer. The XL600 was a fantastic bike, particularly with the XR600 motor transplanted into it, but it was more street oriented and was never intended to take constant off-road abuse. I’ve been keeping my eye open for a true late model XR600 for quite a while, and this one just popped up recently, so I jumped on it. It is certainly well ridden and has been enjoyed by ‘who knows how many’ previous owners. However, it is a sturdy bike with no real issues besides needing the linkage bearings replaced and a new set of foot pegs. 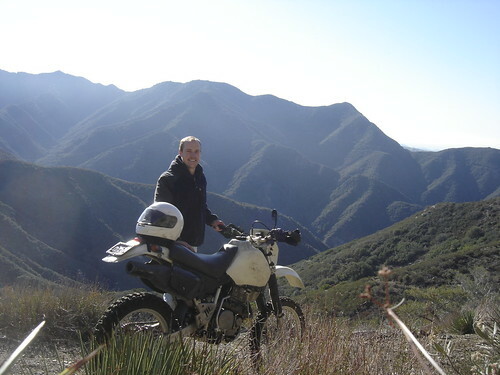 The XR600 is, in my eyes, the perfect platform for a do-it-all dual purpose motorcycle. It’s a bit piggish on tight trails, and a bit of a wind catcher on the highway, but it will do both without complaining and will last years and years trouble free. If you have a good eye you’ll see this bike has a recovered seat with gel-insert, an early style IMS 4 gallon tank, Scotts top billet triple clamp, and a lot of character. Long live the Honda XR600R. 1985 BMW K100, originally uploaded by evanfell. As if I didn’t have enough motorcycles crammed into a tiny storage unit – now I have another! 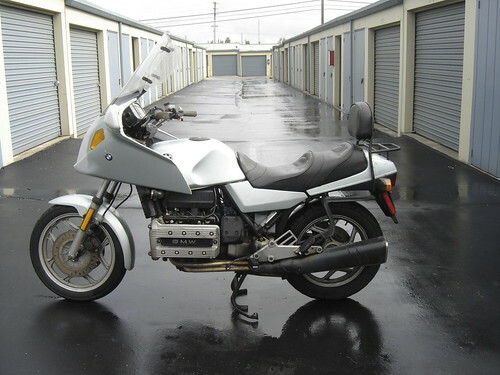 I drove 8 hours each way to pick up this 1985 BMW K100. I am generally real impulsive when it comes to motorcycle purchases, and this is certainly one of those cases. I have no need for this bike at all, but I saw a good deal and had to have it! The BMW K100 (and K75) motorcycles are probably THE most reliable and long lasting motorcycles ever built. These motors are known to commonly go over 250,000 miles without any rebuild. Knick-named the ‘flying brick’ these motors are big, heavy, robust, and silky smooth. No bike runs, rides, or shifts as smoothly as a K bike. Sometimes you forget it’s running. This particular K100 has a Corbin seat and a few other farkles – but unfortunately the fairing has suffered some damage and doesn’t look great. I has traveled 117,000 miles to date. When I brought it back it hadn’t run in a few months. I promptly jumped it from my car battery and it roared to life instantly. I drove it around a bit and it didn’t skip a beat. These bikes are troopers. The downside of a K bike for me is that they are ‘too’ smooth. They don’t offer the same excitement factor that other bikes do. These K100’s accelerate smooth, brake smooth, turn smooth, and frankly it’s like sitting in a Cadillac. I’ve heard them called the ‘old-mans-bike’, and that is certainly true.